Discover this interesting collection of ancient weapons in the keep of Bragança Castle. 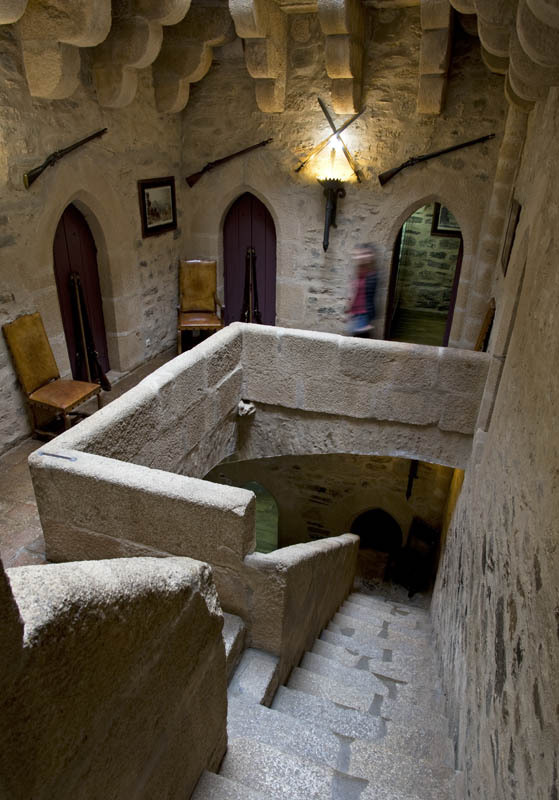 The Museu Militar de Bragança (Bragança Museum of the Military) occupies the Keep of the Bragança Castle and constitutes the perfect space for the lived memories of the soldiers of the city. The museum was founded in 1929 as part of the recovery of the castle, and its archive is composed of a collection of light weapons from the 13th to WWI. There is great variance, exhibiting from Neolithic axes to espingardas from the 18th century, as well as banners, photography, antique furniture, and war supplies. Even some artistic elements from the African colonies, mainly Angola, can be seen. Most of the original pieces were donated by locals who took part in the Conquest of Africa or WWI. Two of the rooms are lightened by Gothic “ajimeces” windows. From the platform of the tower, reaching a more than impressing 33-meter height, you can have an excellent panoramic of the old city, low city, and nearby hills. Tuesday through Sunday from 9:00 to 12:00 and from 14:00 to 17:00. Friday from 9:00 to 12:00.